This document details how to integrate a Cyberroam VPN from Sophos with WiKID for two-factor authentication. First, download and setup a WiKID Strong Authentication Server. Follow the installation manual. 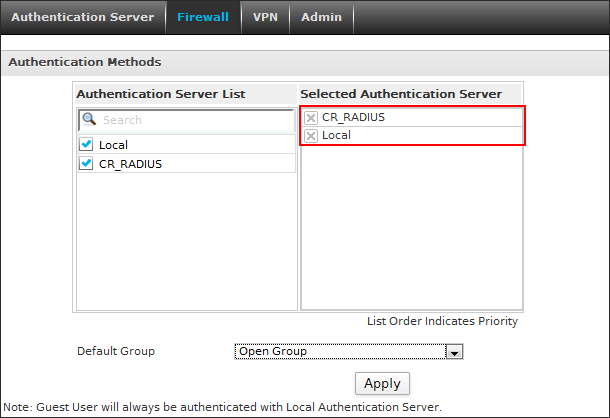 Finally, add the Cyberroam as Network Client on the WiKID server using the RADIUS protocol. For Server Type, choose RADIUS. Give the Server a name. 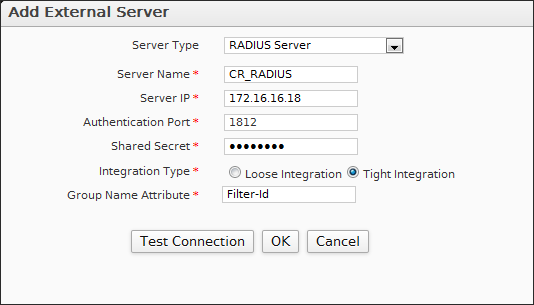 Specify the IP address of the RADIUS server. This would be the WiKID server if you are going direct or NPS or another RADIUS server if you are using one. The Authentication port is 1812. Enter a shared secret This secret must be the same as you enter on the WiKID server or RADIUS server. Integration type. Use Loose if you are going direct to WIKID. If connection is successful, click OK to save the configuration. Next, go to Identity > Authentication > Firewall and select RADIUS Server as primary authentication server. That's it. You should now be able to go to the SSL portal and login with your WiKID Credentials. Reminder: If you are doing 2FA for PCI compliance, you should also be doing 2FA for non-console administrative access.